Lawyers filed a class action lawsuit Tuesday on behalf of people who were forced out of their homes for days when dozens of natural gas explosions and fires ripped through three Massachusetts towns. 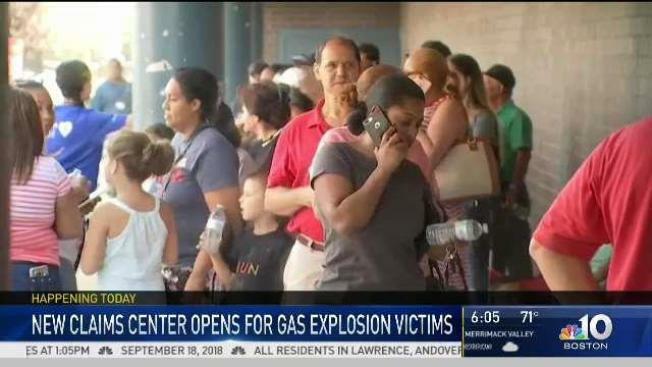 The lawsuit is the first of what's likely to be several filed against Columbia Gas and its parent company over Thursday's explosions , which killed one person and injured more than two dozen in Lawrence, Andover and North Andover. It accuses the utility companies of negligence and seeks compensation for residents of who had to evacuate but didn't suffer injuries or damage to their homes. Frank Petosa, one of the attorneys who brought the case, said although families were allowed to return to their homes on Sunday, they still don't have gas or hot water and must live in fear that the explosions could happen again. "These individuals have had their lives turned upside down," said Petosa, of Morgan & Morgan. Columbia Gas officials didn't immediately respond to an email on Tuesday. A letter sent by the state's U.S. senators to executives at Columbia Gas and its parent company, NiSource, on Monday said the pressure in natural gas pipelines was 12 times higher than it should have been. Also Tuesday, Moody's Investor's Service said the explosions and fires are likely to damage the finances of Columbia Gas and its parent company. The Wall Street credit rating firm said the disaster was "credit negative" for Columbia and NiSource Inc., and may cause "the deterioration of each company's financial position."